As writers, we usually want to keep the reader immersed in the story so they don’t put down our book in the middle and not care enough to pick it up again. We often keep readers’ interest by engaging their emotions. That might mean we give readers characters to root for, anti-heroes they can’t look away from, or plot situations or character circumstances they want to learn more about. A common method for keeping readers engaged is to create a sense of empathy or sympathy with the characters, and that means we want our readers to feel emotional when our characters do (even if the emotions don’t match up exactly). Because of those goals, we see a lot of writing advice about how to create emotions, show emotions, strengthen emotions, layer emotions, handle intense emotions, etc. But we might not have stepped back and thought about (or learned about) the psychology behind those emotions we tap into. When we understand the psychology driving emotions, we might be able to make those emotions more realistic. We might recognize when there’s a disconnect on a character’s emotional journey, or we might see when a character’s motivation doesn’t match the accompanying emotion. So I’m excited to bring Kassandra Lamb here today for a guest post on “emotional psychology 101.” Her experience makes her the perfect person to help us understand the deeper psychology behind our characters’ experiences. As a retired psychotherapist turned mystery writer, there is one subject that I know well—emotions. For years, I helped my clients identify, understand, and manage their feelings. But when I first sat down to write about my characters’ feelings, I discovered some new challenges. I had been trained to name the emotion for the client. Now, as a writer, I couldn’t name it. I had to show, not tell. And I had to do so while maintaining the pace of the story. Ack! I did finally get the hang of it, and my psychology background was an advantage. So let me share some things I’ve discovered about showing emotions in our writing. In order to immerse the reader in the character’s emotional experience, we describe their behavior, body language, internal dialogue, and visceral sensations. The last of these can be difficult to pin down but is often the most powerful way to show, not tell. We humans experience emotions first as sensations in different parts of our bodies. There are individual variations—some people are more chest feelers while others mostly experience stomach sensations—but there are definite trends in where and how we tend to feel each emotion. Fear: tightening in throat/chest, dry mouth, nauseous/butterflies in stomach, heart pounding, chills, hair standing up on neck, hyperventilation, etc. Anger: heat, heart pounding, muscles clenched (especially fists/jaw), gritted teeth, outward pressure in chest, rapid respiration, etc. Sadness: heaviness (especially around heart), ache or sharp pain in chest, lump in throat, voice choked, stinging/gritty feeling in eyes, loss of appetite, fatigue, etc. There is a physiological reason for these tendencies. A part of the nervous system, called the autonomic nervous system (ANS), regulates our body’s reaction to the environment and prepares us to respond. The ANS has two branches, the arousal branch and the non-aroused branch (that’s not what they’re called, but I’m guessing you could care less about the confusing, more scientific terms). You might have noticed that anger and fear have a lot of overlap. These emotions are part of the fight-or-flight response that is triggered by the arousal branch of the ANS when we perceive a threat. There’s also some overlap with excitement, another aroused emotion. Be careful with these overlapping emotions. If the feeling isn’t apparent from the context, you may need to use at least one sensation that is exclusive to that emotion. The non-aroused branch of the ANS takes over when we are safe. It kicks in even more so when we are sad or depressed. We can become so under-aroused that it’s hard to function. There are three other basic emotions, called the self-conscious emotions. These develop in toddlerhood, when the child first develops a sense of themselves as a separate being. Pride: See happiness, add swelling sensation in chest. Guilt: lump in throat, pain in chest, queasy stomach, twist in gut, etc. Shame: heat in face and/or all over, heaviness, shrinking or pulling body in on itself feeling (as in wanting to hide), etc. Guilt and shame, while related, are not the same. Guilt is about our behavior while shame is about our being. We feel guilty for what we have done; we feel ashamed of ourselves (for more on this, see my past posts on guilt and shame). People can get guilt and shame twisted up together in their psyches and feel ashamed because they make a mistake (especially if they had fairly dysfunctional childhoods). This can be a useful dynamic when developing a character with poor self-esteem. Also guilt sometimes morphs into misdirected anger. A man cheats on his wife, gets caught, and is initially remorseful. But then he becomes angry if she doesn’t forgive him right away. He’s subconsciously mad at her for “making” him feel guilty. Or he doesn’t get caught but his guilt turns to anger on a subconscious level and he picks fights with his wife, maybe even projects his guilt onto her and accuses her of infidelity. Ever wonder why some women are attracted to bad boys, no matter how much they bemoan the way these men treat them? Another way emotions can get twisted together in women from abusive backgrounds is confusion between fear and love on a subconscious level, or even fear and sexual excitement. The parents they loved, and who were supposed to love them, were scary. So they meet the bad boy, feel fear (a realistic reaction) but then misinterpret the fear as attraction and/or love. Jealousy is a common motivation in characters. It’s a combination of fear and anger. The person is afraid of losing someone they love to another, and they are angry at the person they perceive as a threat. How dare this woman try to take my man? The tricky part is keeping it straight which emotion one feels toward whom. The jealous person may aim the anger at the wrong party (i.e., their loved one) and end up bringing about the very thing they fear, the loss of that relationship. As an avid reader of mysteries, it really bugs me when an author glosses over the grief of those close to the murder victim. Grief is hard to portray realistically, and it can potentially debilitate a character. But when a character sets out to solve or avenge a father’s/sister’s/lover’s/child’s murder, damn it, they’re gonna have some grief to deal with along the way. Grief is the most complicated and illogical emotion of them all (and they’re all illogical). It’s a mixture of pain, anger, bargaining, and guilt. If someone or something can be blamed for the loss, the grieving person will go there, at least initially. Often they will be angry with the person who died (told ya it’s illogical), although they probably won’t acknowledge this anger consciously. They feel abandoned and/or are mad about something the dead person did that they feel led to their death. In book one of my series, the protagonist’s first husband is killed while doing a favor for her. The night after his funeral, she rages, “Why did he have to be so damned nice?” Of course, she immediately feels guilty for being angry at him for being a nice guy. Survivor guilt is also common. The person becomes convinced that if they had done something differently, the death would have been prevented. This is a belated attempt to reclaim a sense of control over a situation that they couldn’t control. Because helplessness is the emotion humans hate the most! Grief can lead to various pursuits of justice and/or vengeance that may or may not be rational. This makes for some interesting plot points. BUT (back to my pet peeve) the person would not be able to completely sublimate their grief with these pursuits. They should still periodically feel a surge of guilt, anger at the dead person, anger at themselves, or just plain sadness. When Is Deep Point of View Too Deep? Readers want to be entertained by realistic stories about characters they can relate to. They do not want to be overwhelmed by the characters’ emotions. So there are times, for this reason and also for pacing purposes, when toning down the emotion is called for. It really wasn’t. A grieving person might very well feel all of those things. But it’s too much emotion for the reader’s comfort level, and it broke the tension in the story. This is a great place to add a little touch of individualization. Is this a character who would be irritated with her grief, or would she succumb to it? Have her swipe her wet cheeks with the back of her hand, or throw herself across her bed. When this guy is angry, is he the yell-and-pound-the-table type, or would he narrow his eyes? This shows the reader the emotion without immersing them in it quite so much. Of course this only works if you write in multiple POV. When writing a scene in which a character has a strong emotional reaction, sometimes (not always though) it is better to show that scene through the eyes of a different character. I often do this with both grief and intense anger, especially if wallowing in the emotions would slow down the pace too much. The emotion can be quite powerful when seen through the eyes of a close friend or lover, and yet it is not as overwhelming. This is often the best approach when pacing is the major issue. One short description of a visceral sensation and then move on. My brother (my guy-stuff consultant) pointed out that the character would be angry at the accusation, even though he chooses to push it aside for now. Well crap! How do I have this guy get angry and deal with his anger, all in an instant before the tension in the scene dissipates. After mulling it over, I hit on the deft stroke. This is that character’s main way of exhibiting anger, so that three-word sentence is more than enough to show his emotion. A quick action beat and/or short line of internal dialogue works well too. Obviously, this is a quick overview of how to write about emotions. So by all means, ask me questions in the comments. Writing and psychology have always vied for number one on Kassandra Lamb’s Greatest Passions list. In her youth, she had to make a decision between writing and paying the bills. Partial to electricity and food, she studied psychology. Now retired from a career as a psychotherapist and college professor, she spends most of her time in an alternate universe with her characters. The portal to this universe (aka her computer) is located in Florida where her husband and dog catch occasional glimpses of her. 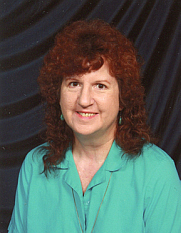 She and her husband also spend part of each summer in her native Maryland, where the Kate Huntington mysteries are set. Find Kass on Twitter and Facebook, sign up for updates on Kate’s World at Kass’s website, and check out her posts on psychological topics and other random things at the misterio press site. 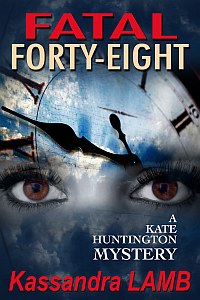 With time ticking away, the police allow Kate and her P.I. husband to help with the investigation. The FBI agents involved in the case have mixed reactions to the “civilian consultants.” The senior agent welcomes Kate’s assistance as he fine-tunes his psychological profile. His voluptuous, young partner is more by the book. She locks horns out in the field with Kate’s husband, while back at headquarters, misunderstandings abound. But they can ill afford these distractions, since Sally’s time is about to expire. FATAL FORTY-EIGHT is available at Amazon, Barnes & Noble, Apple, and Kobo. Thank you, Kassandra! I find this fascinating (psychology and brain stuff are two of my nerd hobbies *smile*). I’ve always believed an understanding of this topic helps writers, so I’m grateful to you for sharing this post. As we’ve also talked about how those visceral reactions overlap from one emotion to another, I loved hearing about why that overlap exists. As Kassandra alluded to, that’s why we need to ensure our meaning is clear with more specific visceral reactions or by layering in other emotional cues (body language, dialogue, etc.). 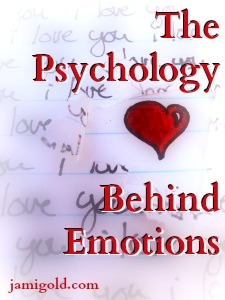 Do you think understanding the psychology helps us write more realistic emotions? When emotions haven’t felt realistic in stories you’ve read, what felt “off” about them? Do you have any other tips for how to write emotions realistically? What emotions do you have the most trouble portraying? Kassandra will be checking the comments, so now’s your chance to ask for help! Thanks so much for inviting me to be your guest today, Jami! My life calling has been to help people understand their psyches better. I think we fiction writers have a unique opportunity to do this while entertaining our readers as well. I agree that as fiction writers, we can help people gain a better understanding of themselves. Even though I proudly write escapism, I still think my characters and my stories can help us gain insights into what’s important to us and why. 🙂 Thanks again for being here! Those were some of my favorite tips too! 🙂 I know we’ve talked a lot here before about how you respond more to the telling words of emotions than to the visceral reactions, and as I was reading this post, it dawned on me that I react more to the body language cues than to the visceral reactions. But what get to me most of all is simply the situation–the subtext of the scene, circumstances, and my knowledge of how this would affect the character. So I agree that there can be a lot more variation in our readers than we might give them credit for. 😀 Thanks for the comment! I think you’ve answered your own question, Serena. And that’s something I have never thought about before, how our reading experience trains us to react certain ways. Definitely visceral sensations connect the reader to the feeling more intensely and more quickly than an action. Clenched fists show us that the character is angry. Anger “exploding in his chest” helps us feel the emotion along with the character. Rage surged through her, red hot. “How dare you!” she said through clenched teeth. Good luck with your studies! The world needs more good psychologists. Good point, Jami. Natural empathy does exist on a continuum from those who have none (psychopaths) to those who cry over TV commercials (my ex sister-in-law). Yes! That’s the point I was trying to say about how the indirect stuff of simply knowing how this would affect a character (assuming they’re well-written enough to seem real) gets to me the most. 🙂 So in some ways, the more vibrantly real a character is to me, the less I need the visceral (or any other emotional) stuff. Because I feel it, I assume they are too, even if it’s not on the page. Great way of putting that idea of “internality”! 🙂 And I’ve found that clear motivations are often key. Motivations drive actions, goals, and stakes in storytelling, so I’ve learned that motivations should be at least somewhat explicit. How dare he? Her fist trembled, itching to punch him. He made her so angry. She wanted to punch him. But I totally agree on the danger of unclear motivations. Those can create a disconnect between the reader and the character, and that’s not going to be good for feeling that a character is real or for caring about what happens to them. I like the voice-y internal monologue too, though usually my internal monologue is not voice-y—i.e. their thought is indirectly told by the narrator rather than a direct quote from the character. In MLA citation terms, I do paraphrasing more than quoting, haha, if that makes sense. XD I do direct quoting of thoughts sometimes, though. Yep, and that’s a decision to make based on how deep of POV we want to be. Usually my genre and stories are meant to be deep POV, so the voice-y internal thoughts work for me. But different genres or POV approaches might take a different style. 🙂 Thanks for the comment! I wholeheartedly agree, Carradee. The genre and nature of the story definitely dictates how much emotion is shown, and you’ve given an excellent example of this. That was part of the challenge for me since I write mysteries. Readers want realistic characters that they can care about, but a suspenseful pace must be maintained as well. My main character has a lot of survivor guilt. When she was a child she survived an accident which killed both of her parents. She was raised by her older sister who went from being this fun person to a stern authority figure. She interprets this as her being angry with her for surviving when their parents didn’t. She’s angry at her sister because she feels she’s being punished for something that wasn’t her fault and added to this, is the not understanding why she survived. The older sister isn’t angry with the main character, just extremely overbearing and overprotective because of the accident. She interprets the main character’s behaviour towards her as resentment that she isn’t their parents. Like the main character, she feels she’s being punished for something that wan’t her fault. Their relationship is one big mess which culminates in an almighty argument where things are said that can’t be taken back. I have to admit that writing the last sentence of that scene made me cry! Wow! That sounds like a powerful story, Lara. And you definitely have the emotional entanglements correct. You might see if you can weave in there some realization at some point that they are also both angry at their parents, no matter how irrational that feeling may be. But it sounds pretty solid already. Thanks for your comment. Thanks for the compliment 🙂 The strange thing is that that wasn’t part of my original story. The story is about aliens, psychics, hallucinations of other worlds and a mystery of whether something is really happening or not, I needed something to drive it! It’s going to be difficult to get right, I have to maintain that what is happening to her could be equally real or a fantasy that she has created. The events on these worlds have to reflect the decline of her mental state, and the guilt the alien characters have has to mirror her own. It could be real and is the reason she survived, or it could be a fantasy she created to provide that reason. The anger at their parents is something I want to weave in there, I’m just not sure yet which point I should bring it in. For a story that was inspired by something weird I read in a Victorian ghost story, it’s become very complicated! Wow, that’s impressive! 🙂 Good luck with it! Phew! That is definitely complicated, but it also sounds fascinating. Best of luck with the project! Great job identifying all the conflicting emotions for that tricky situation! Good luck with your story. 😀 Thanks for stopping by! I had always wondered why some women were attracted to “bad boys” – thanks for the explanation! Interesting point about the difference between guilt and shame. In some cultures, as I understand it, guilt is more important (you feel bad if you’ve done something, whether you’re caught or not), and in others shame is more important (you feel bad if you’re believed to have done something, whether you actually did it or not). So in shame cultures, whistleblowers are considered the bad guys, because they brought the shame! Nowt so queer as folk, eh? Oh yes, Deborah, shame and guilt get a lot more complicated in a collectivistic culture such as in Asia. It’s all about protecting the feelings of others and the group. A person feels shame if they’ve done something that makes someone else uncomfortable or reflects badly on the group they belong to, even if the behavior is not intrinsically wrong. As for why some women are attracted to the bad boys, that’s the basic explanation. Jami said that if I was a good girl, I could come back and elaborate on some of these issues. 😉 So maybe I can go into that some more at some later date. And Kassandra did a great job of explaining some of those complicated and tangled emotions too. 😀 Thanks for stopping by! The 1st thesaurus I bought after my Roget’s was the one on emotions written by Angela Ackerman and Becca Puglisi. I haven’t used it much yet but then, I’m not on my 2nd draft yet either. “The Deft Stroke” is something I use often. That one little sentence or even that one little phrase can put such a light on the situation of a scene. I might admit though that I haven’t heard the technique called that. Truth is, I didn’t know what to call it. Now I have a term for it. Isn’t that a great name for the technique? 🙂 I agree–I’d used the term before but it’ll stick better in my head now that I have a name for it. Thanks for stopping by! Wow! I’m so glad that I didn’t miss this post! My hubby was in the hospital last week, so I’m just now playing catch up. Wonderful job Kassandra! No doubt I’ve got to get Angela’s book. But your explanations came from a deeper level. I am working on deep third person POV. And as someone who is suffering from PTSD, I loved how you showed the nerve correlation with fright and flight and the brain in a more scientific way. Makes perfect sense. I’m bookmarking this one. Exactly! Kassandra’s explanations reached into a deeper understanding. 🙂 Thanks for stopping by, and I hope your hubby is okay! Aww, thanks for the kind words! And yes, I wanted to bring these guest bloggers here and add their knowledge to the collection. 🙂 Thanks for the comment!